Application Military, Tactical, Law Enforcement. Features Made to US Military Specifications MIL-C-44048G. Two Adjustable Side Tabs, 2-1/4" Belt loops, Two front slash pockets, Two rear inserted pockets with snag proof and fused pocket flaps. 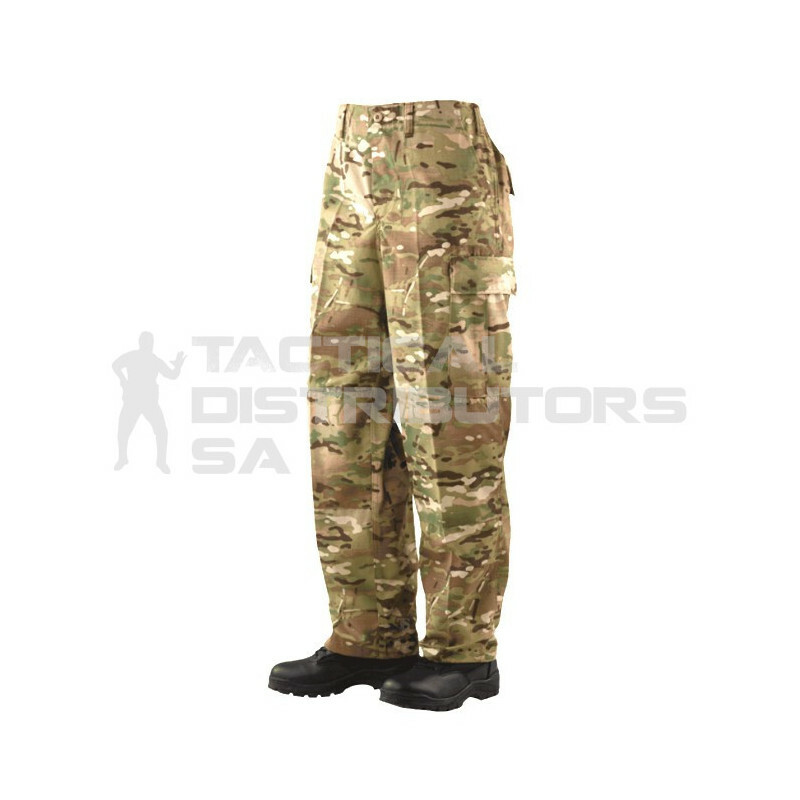 Additional Information Two bellowed three pleated cargo pockets with drain holes snag proof and fused button flaps. Felled inseam, out seam seat seam, Reinforced seat knees. Drawstring leg ties.